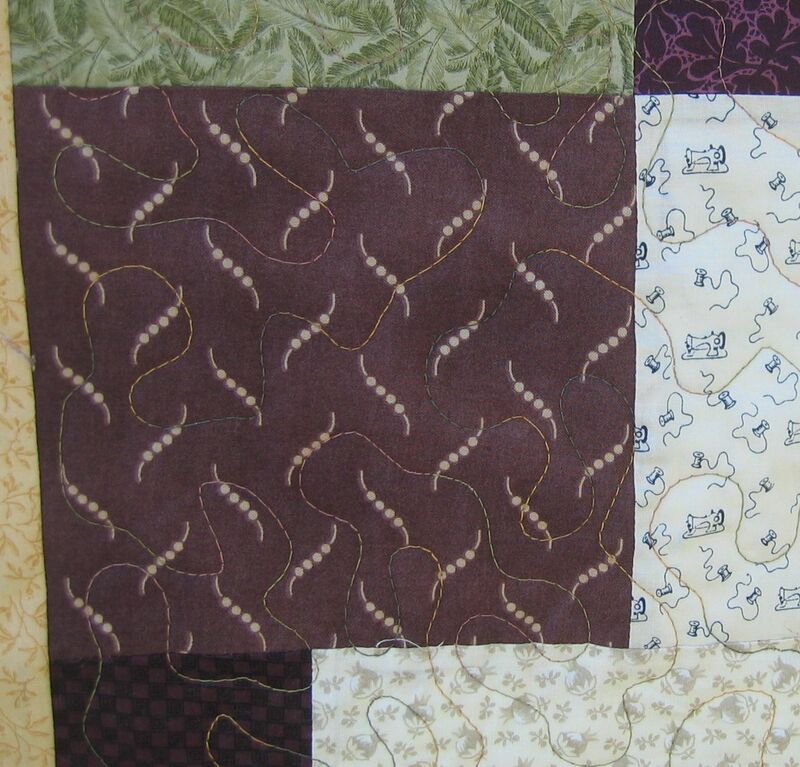 This one looked as though it was a disappearing 9-patch quilt, using all scrap fabrics. It was very ‘busy’ so I decided to quilt it with just a simple large stipple in a matching variegated thread. Wow, 50 already! The meanders are great on these busy scrappies. 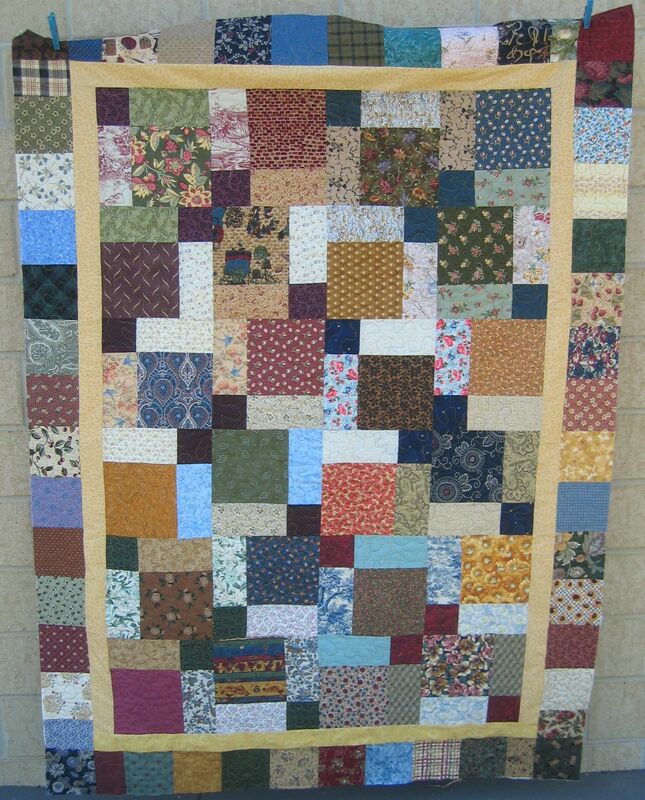 I’m a huge fan of scrap quilts.